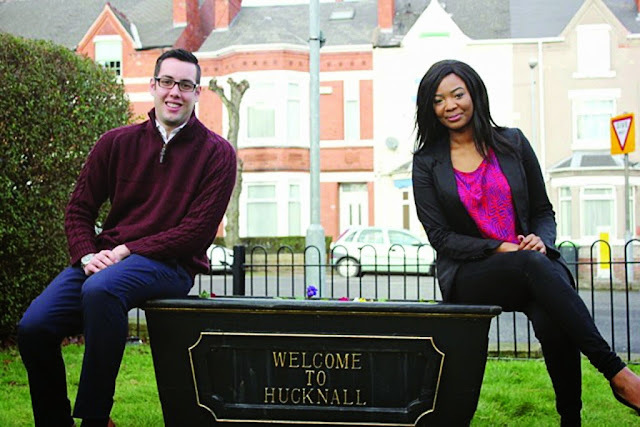 BORN and raised in rural Karoi, Zimbabwe, United Kingdom-based Nicolle Ndiweni was on May 7 elected as the first black councillor of Hucknall on the Ashfield District Council, UK. Born in 1989, Ndiweni attended Rydings School in Karoi where she became a prefect, a librarian and member of the choir before attending Arundel Senior School, Harare, for a short while after which she moved to another conveniently small town in the UK called Hucknall. In Hucknall, she did her sixth form at Holgate School where she was appointed as the first head girl, elected to the student council, school council and ethnic minority representative for Conexions. She then studied for a BA in Criminology and International Relations at the University of Lincoln where she was then elected president of the Afro-Caribbean Society. There, she was involved in various campaigns against racism, gender discrimination, gang violence and gun crime. ND: Give a brief description of what you did after university. NN: I left university and like most people, I really struggled to get into the sector. I had gained my qualifications. After much encouragement from a good friend, I entered a competition called World of Difference. Eleven thousand people entered and 500 were chosen to work for a local charity of their choice and were paid by the Vodafone Foundation. I chose to work for Nottingham Women’s Centre heading their membership project. I later gained full-time employment working with the training and support team, helping women in crisis, survivors of domestic violence, female ex-offenders and women seeking employment and adult learning. I have always had a heart for people. I have always stood against injustice and fought for a fair society. After two years at the centre, I decided to start a luxury hair extensions brand, a little bit different from the field I was used to, but I decided to take the risk and enter the world of business in a market that has continued to grow despite the global recession and economic challenges. In 2013, I successfully sourced funding and grants to start an online business and travelled to various parts of the world to source my product, establish a manufacturing team, design and mass produce my packaging. Nicolle’s Boutique was officially launched in 2014 and currently has sold luxury virgin hair extensions to women all over the world — France, Nigeria, Canada, Swaziland, Greece and Zimbabwe to name but a few. Nicolle’s Boutique team worked hard to get the business off the ground and implement systems that have now given me the time and opportunity to pursue my passion which has always been helping people whenever I can. ND: How did you end up running to be a candidate for the council elections? NN: I have always believed in the values of the Labour Party. I once interviewed Nottingham’s Lord Mayor Merlita Bryan at the time for a project celebrating the achievements of women in Nottingham and also attended an event where councillor Eunice Campbell was a guest speaker. These two women encouraged me to put my passion into action. The timing felt right too and getting into politics became the focus outside of my business. Having graduated in 2010 and spending the past five years in the “real world”, I truly say firsthand how politics has affected not only my life, but the lives of those around me. As a woman who wants a better tomorrow for herself, her family and community, getting involved was the next step. ND: How did you feel about the election victory and did you expect it? NN: I am human so I had my doubts, but I worked really hard, always tried to remain positive throughout the campaign and did a whole lot of praying. It’s still a little surreal that the little Zimbabwean girl from Karoi is now a councillor Ndiweni in England. There is definitely much work to be done and I suppose in roles like these, you are only as effective as your achievements for your community. So I am looking forward to more hard work and the journey ahead. ND: What are you planning to do for the benefit of your society? NN: In the next four years, I would like to see a decrease in unemployment. The people of Hucknall have been asking for more bungalows for the elderly and the prioritisation of Adult Social Care. In that regard, I would like to see housing provision of the types of houses that are lacking in our community and support for the care industry. I also look forward to seeing upcoming developments such as the pedestrianisation of Hucknall High Street coupled with the implementation of free car parking and how it will positively impact on local businesses, job creation and our town as a whole. ND: How will you make that of any effect or importance to other Zimbabweans back home and those abroad? NN: Zimbabweans are awesome people with a lot to give and I’m not just saying that because I’m Zimbabwean, but because I know what we are made of. What I would say to my fellow Zimbabweans is that the world around you matters. Your community is always a great starting point and your positive contributions, no matter how big or small, are essential and will affect someone. I just hope to be an inspiration to those who have dreams, plans and aspirations and encourage them to take the risk, work hard and have faith. We should always aim high and represent well our country of origin. ND: What inspired you into this? NN: I draw my inspiration from all the women in leadership positions who have gone before me and laid the foundation for us to build on. I have a deep sense of community and my firm stance against inequality and discrimination is a big political driving force. Last but not least, my greatest inspiration is my father Dought Ndiweni, a three-term former chairman of Karoi Town Council, who has accomplished so much for his family and community, and has done so with compassion and integrity. ND: Was your family supportive? If so, in what way? NN: My family was really supportive. I am truly blessed to have them. My sister joined the campaign and was employed by the campaign office. My mother joined me at various events, while my dad was a pillar of strength through it all, albeit from afar. My brother, my extended family, The Life Centre and local churches were supportive in prayer and always had a word of encouragement.